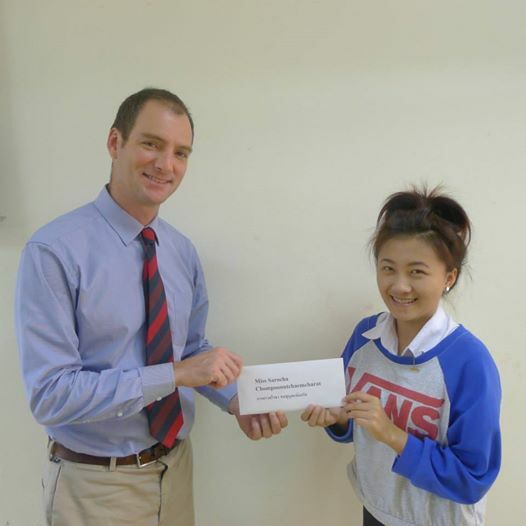 September 22 it was time to distribute 39 scholarships in memory of Emorn. 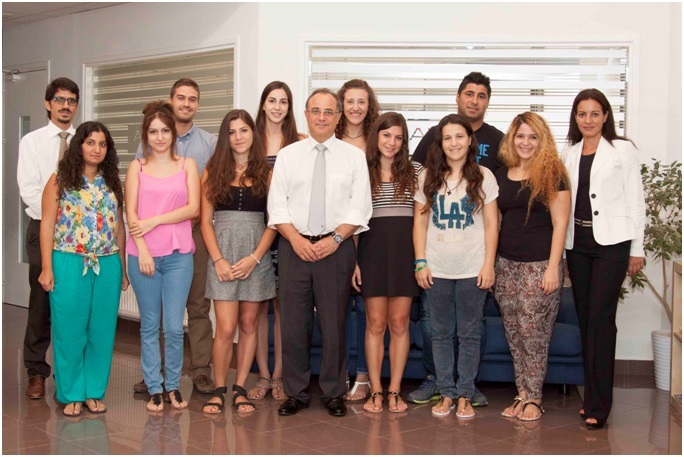 The course is four years and all the students are doing well. 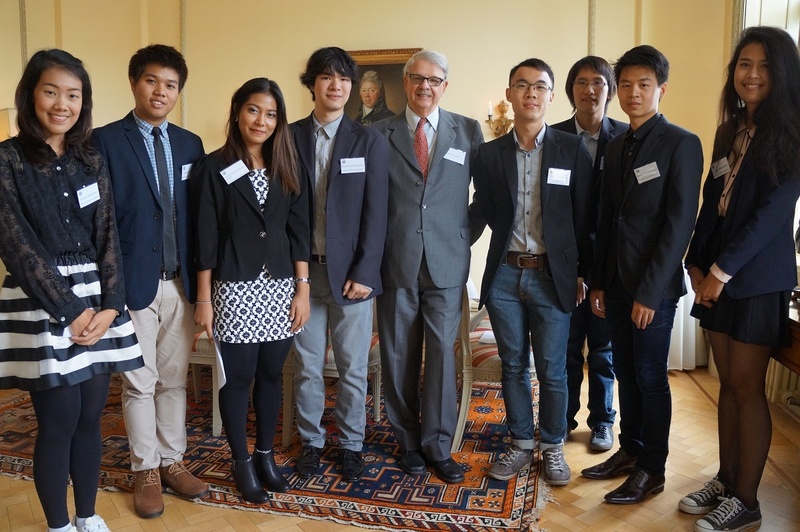 Sievert had a chance to meet with eight Thai students in Gothenburg early September. Four had finished the first year and four just started the two year period. For further info click here. 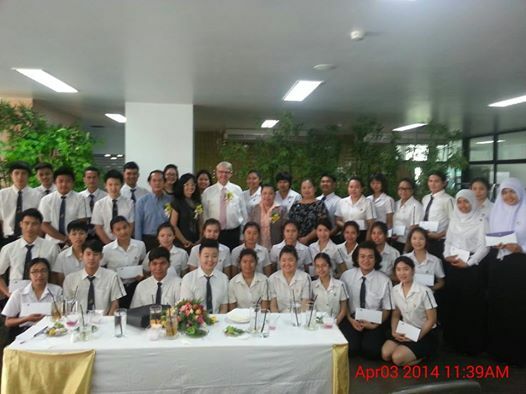 Distributing scholarships to 39 happy students in the Culinary Arts section of Suan Dusit University in memory of Emorn. The SET Foundation in Nakon Sawan (the major donor is the SLSF and Sievert Larsson is the president) distributed scholarships with start May 4. Although the new academic year doesn't open until late May, we've already made a start on paying scholarships to some students in our Village Group Programs. 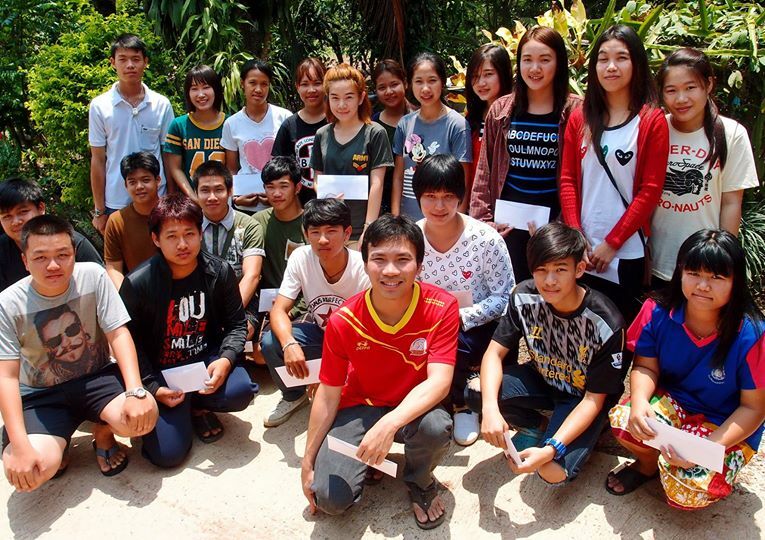 Today we were at a small village in Uttaradit Province where we have 26 students studying at six vocational colleges and four universities. Although centered on the one village, the program includes youngsters from three surrounding communities. Because the students study at so many different places, we always pay their scholarships on a Sunday, so they can conveniently all come together at one of the village homes to collect their scholarship money. 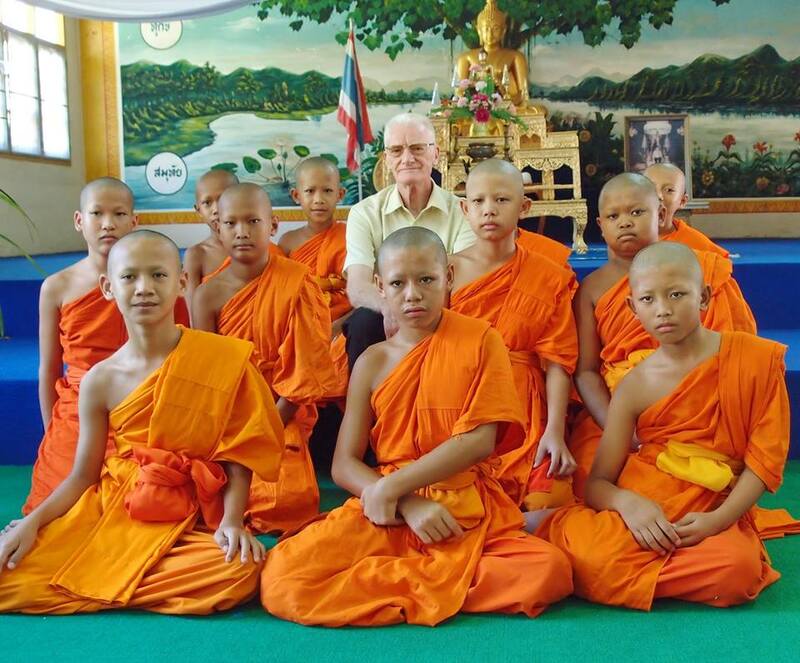 In the north of Thailand, David Williams is in charge of distributing scholarships. This year more than 300 deserving students were at the receiving end.